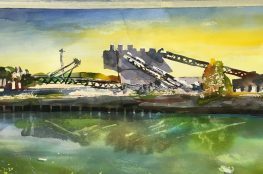 I am very happy to say the Queens Art Fund has awarded me a New Work Grant for my project, Recovered Landscapes: Newtown Creek. 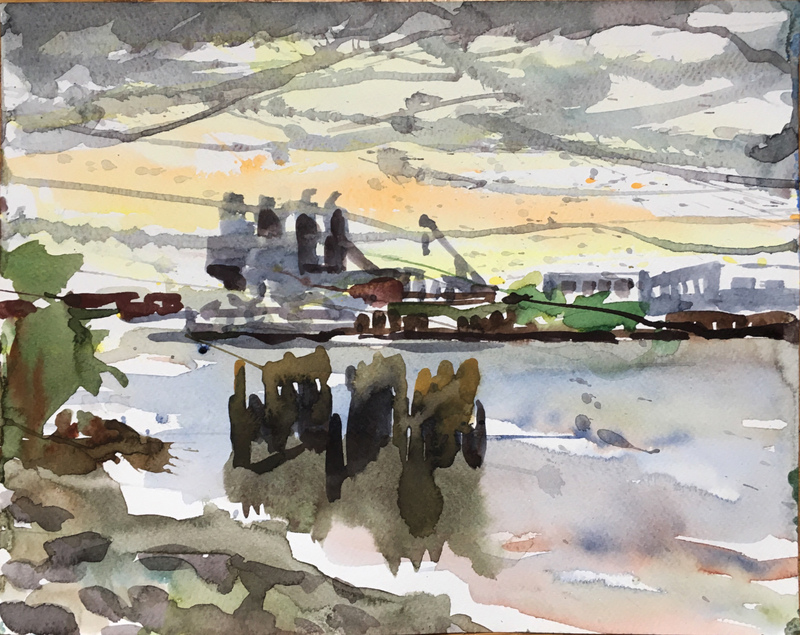 Over the past six months I have explored Newtown Creek and painted the landscape in various weather and lighting conditions. 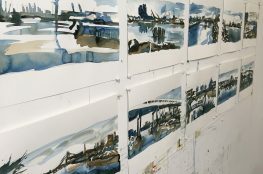 The small on-site sketches I made inspired me to enlarge the scope of these images in my studio. 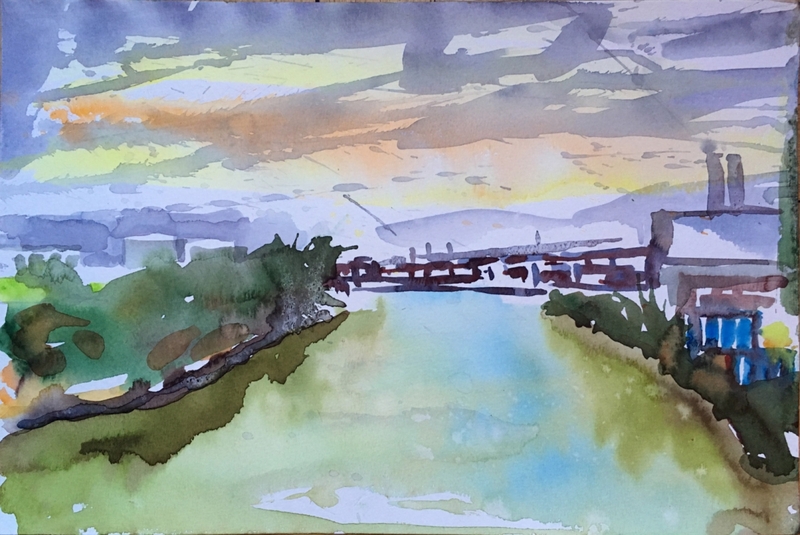 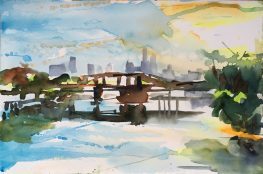 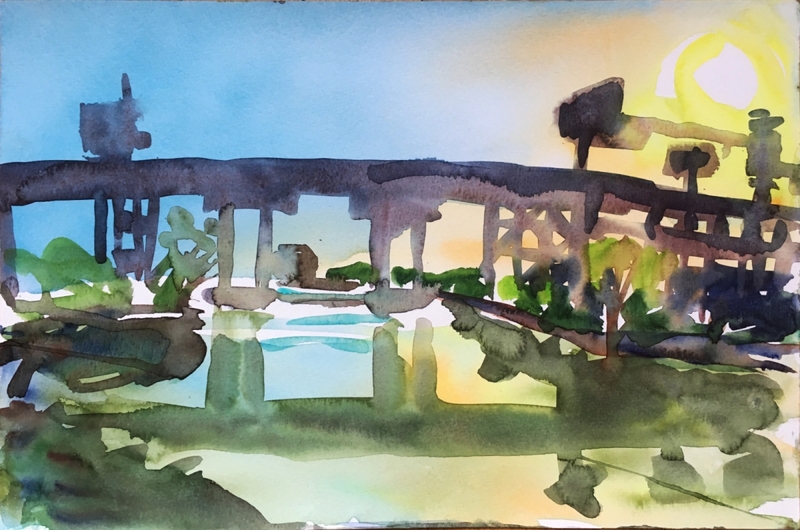 Recovered Landscapes: Newtown Creek will be a suite of 10 large-scale (25"x60" and up) watercolor paintings on paper, as well as small inkjet reproductions for fundraising, created to raise awareness of the revival of Newtown Creek and appreciation of its beauty. 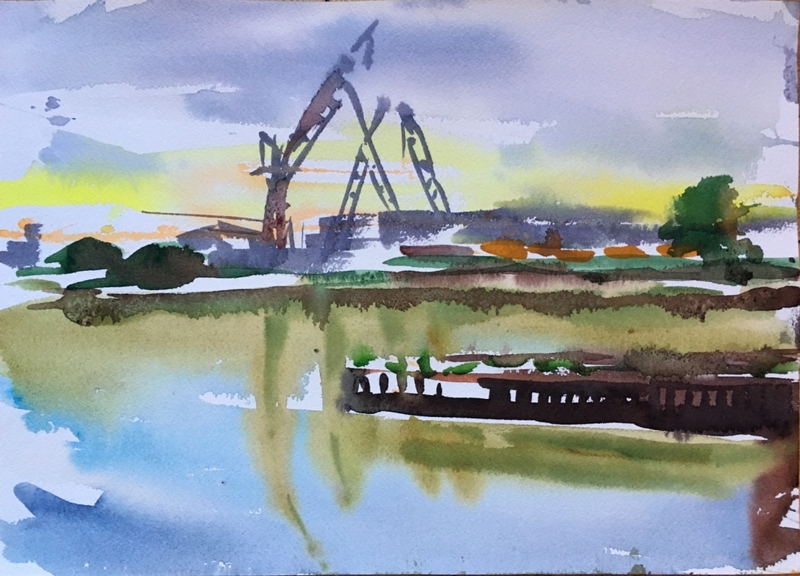 The small landscapes I have painted on-site around Newtown Creek will be referenced to produce 10 large-scale paintings. 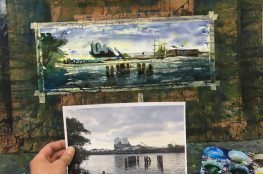 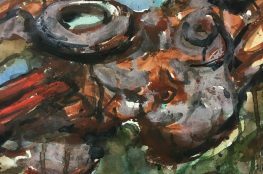 A final gallery event will present the large paintings, as well as smaller affordable reproductions donated as fundraising incentives to groups involved in the creek's remediation and restoration. 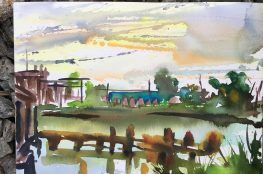 See regular updates on my Instagram account.